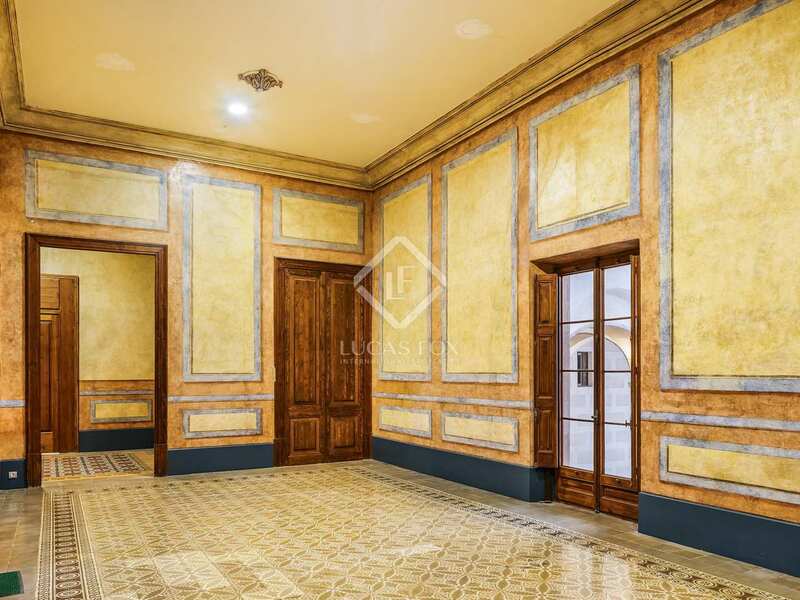 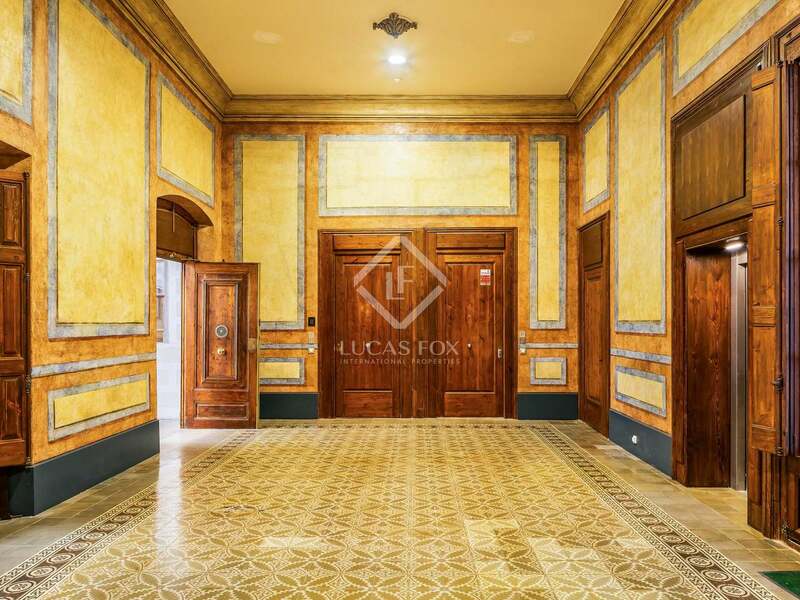 This magnificent 220 m² apartment is within an old mansion dating back to the late eighteenth century: a unique property on the market. 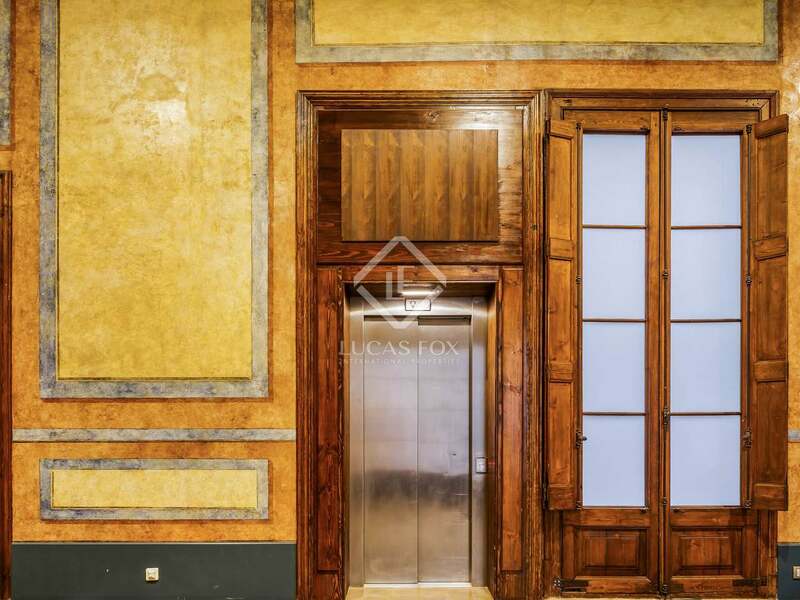 The building has been fully rehabilitated with great tact during the last two decades. 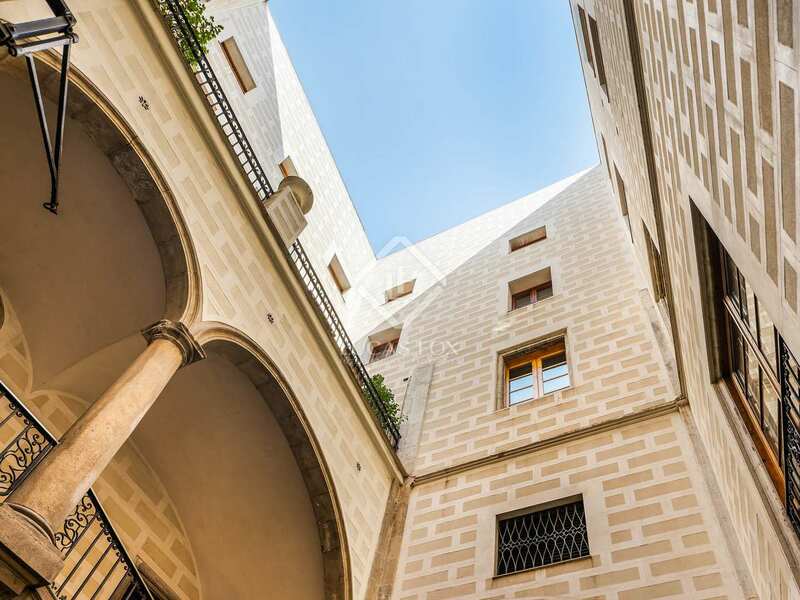 One of its most illustrious owners was Eusebi Güell, the patron of the famous architect Gaudí. 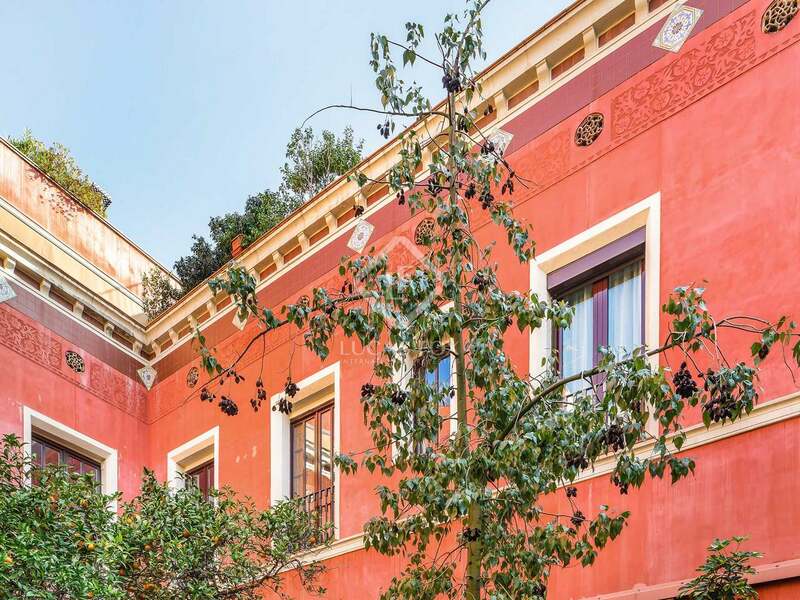 In fact, architectural elements such as doors, tiles, fireplaces and stained glass windows currently displayed at Palau Güell were obtained from this mansion. 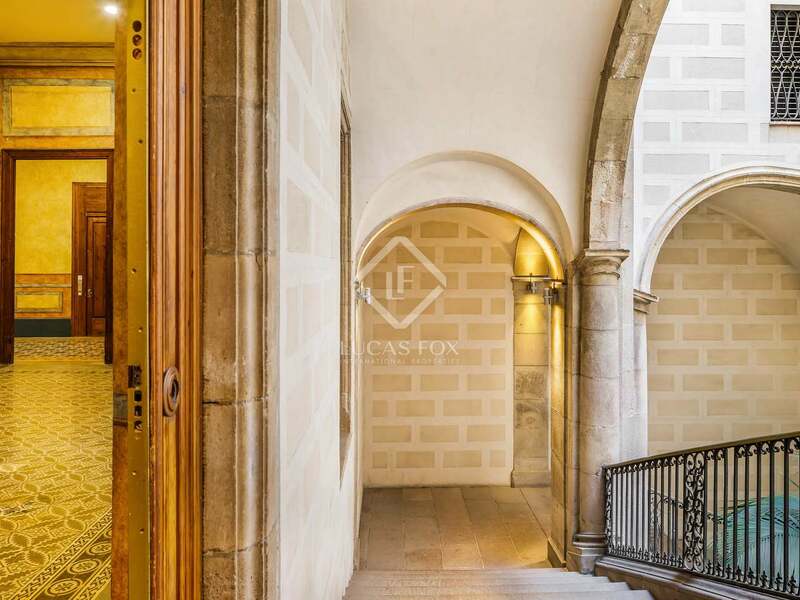 The building stands out for its impressive entrance, worthy of a mansion of this caliber, and for its excellent common spaces to relax, such as living rooms, gardens and even a terrace that all the neighbours can enjoy. 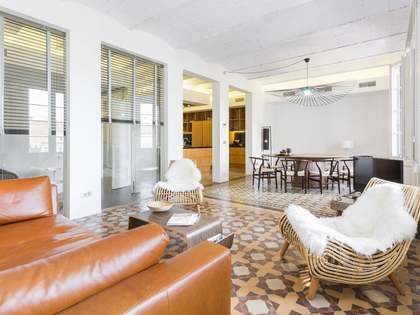 Despite being in an imposing estate, the apartment is characterized by its warm and welcoming atmosphere. 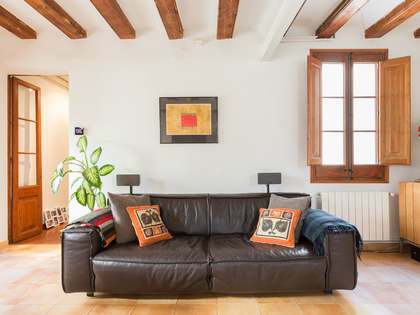 Generously-sized rooms combine wood and natural tones to create very pleasant spaces flooded with natural light; the whole house is exterior, facing an inner courtyard and Carrer d'En Bot. 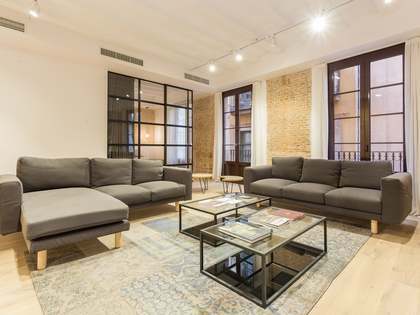 It is possible to purchase furnished. 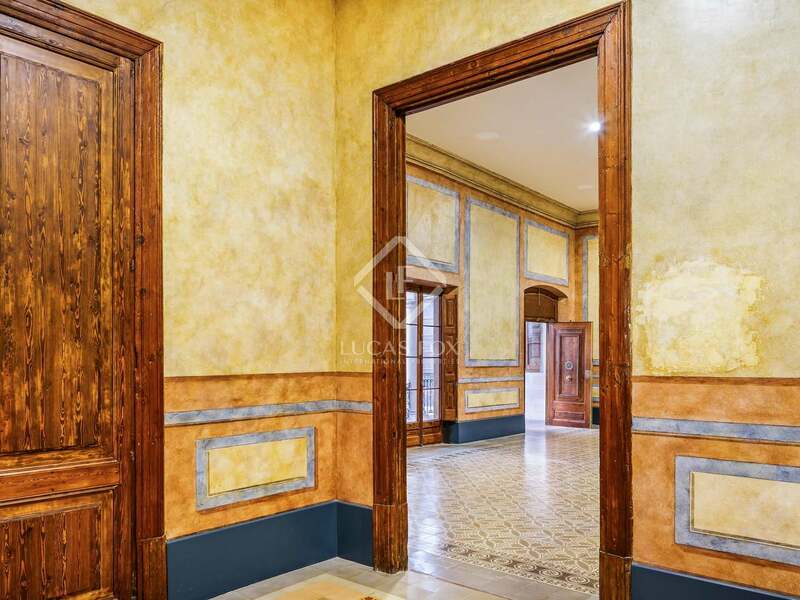 On entering there is a hall with a study to the left and a complete bathroom to the right. Opposite there are 2 comfortable double bedrooms, spacious and with lots of natural light. 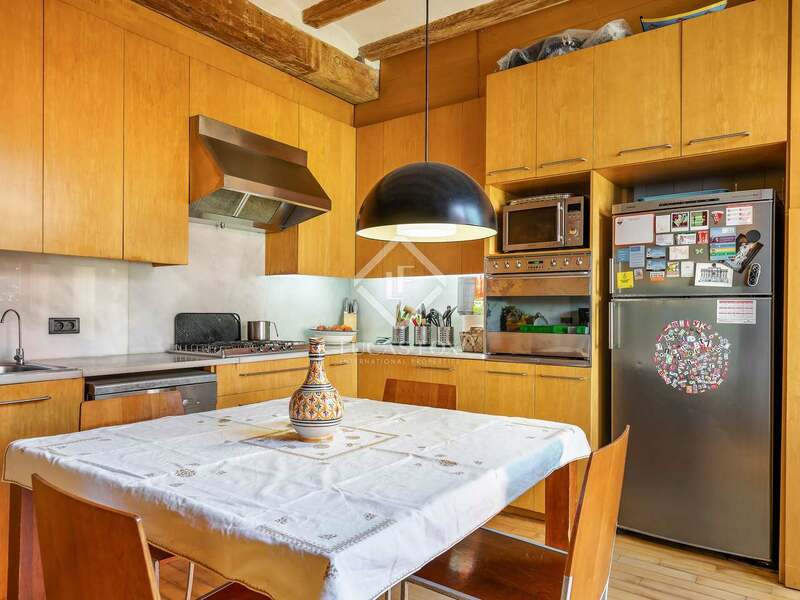 Then, on the left, we find the spacious and fully equipped kitchen. 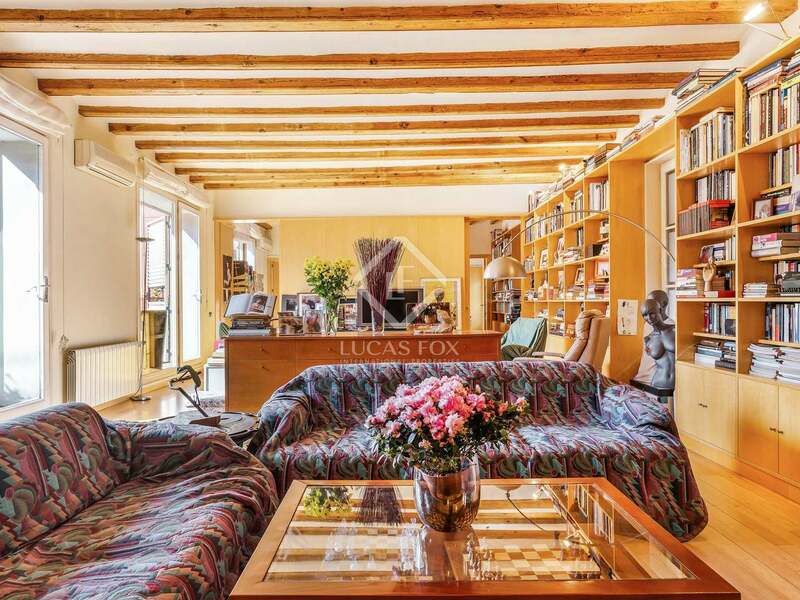 Continuing straight we reach the heart of the property, the large living room of 65 m², a bright room with access to a 87 m² terrace. 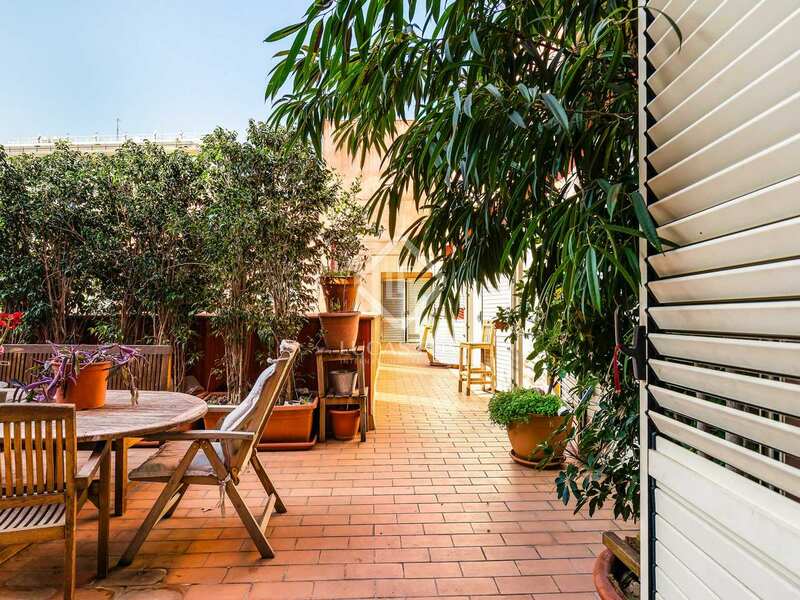 This terrace is the ideal place to enjoy breakfast at the weekend, reading a good book in the sun or even, simply, to relax at the end of the day. 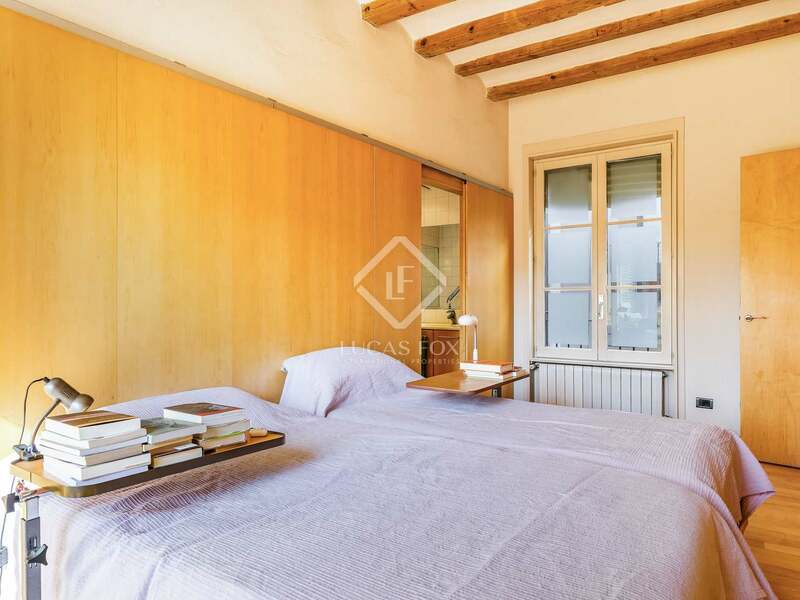 At the back of the apartment is the wonderful master bedroom with its own living room/study, en-suite bathroom and dressing room. 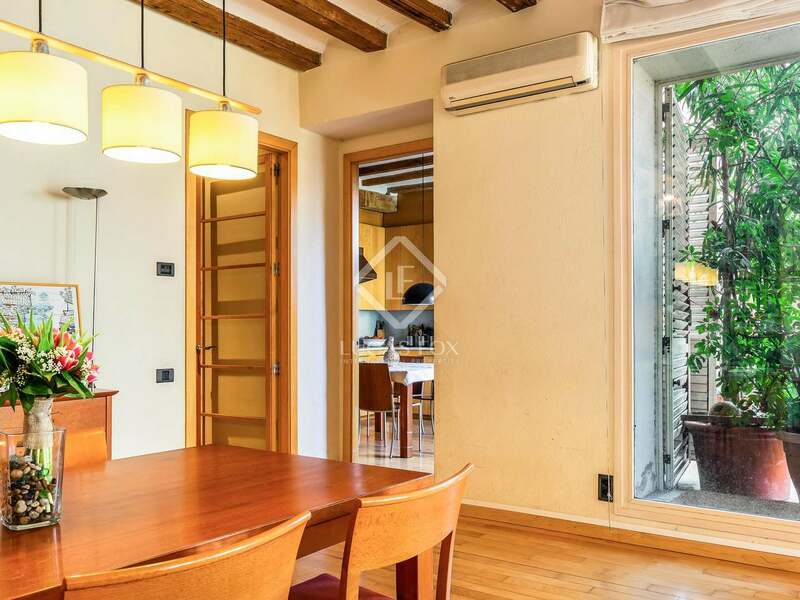 The house has wooden floors and is equipped with air conditioning, heating and double glazed windows to ensure comfort throughout the year. 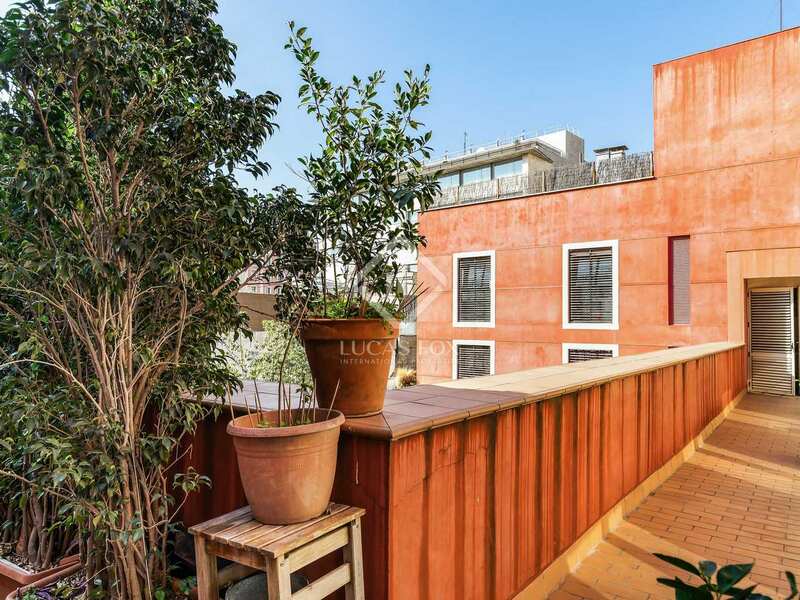 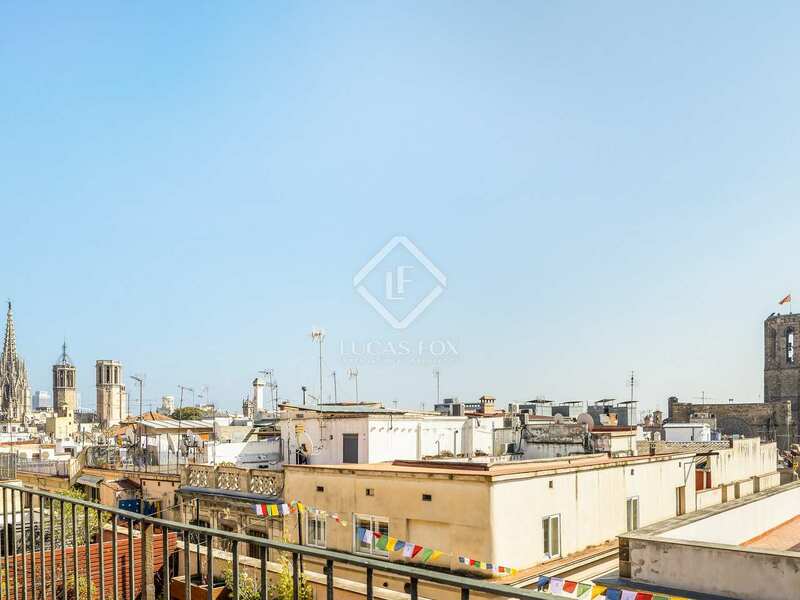 Contact us to visit this stunning apartment with a terrace for sale in central Barcelona. 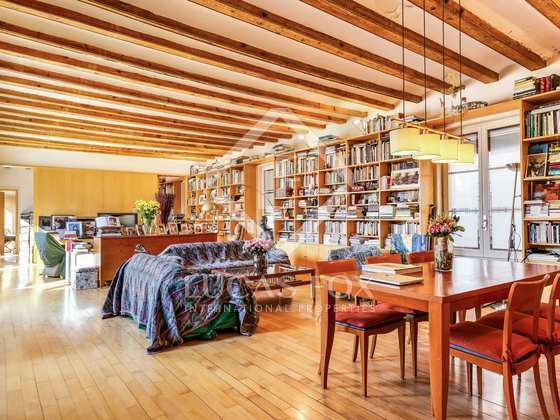 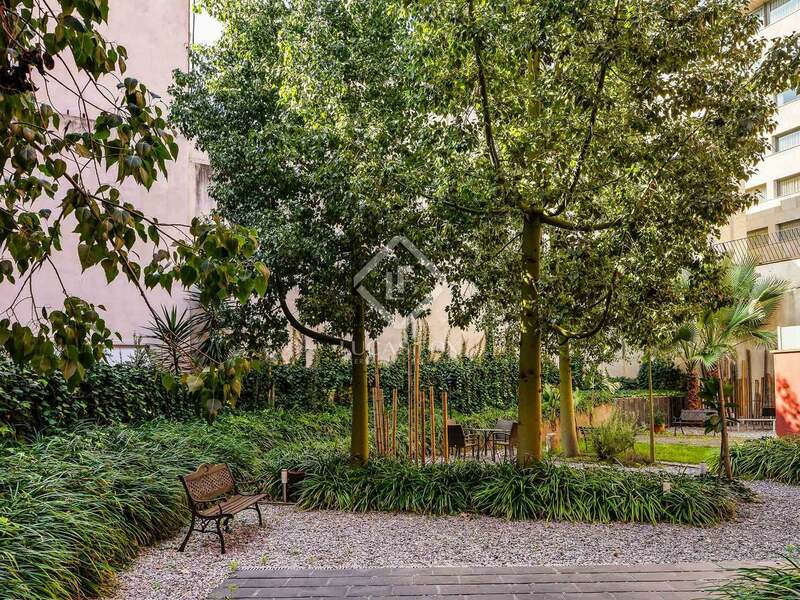 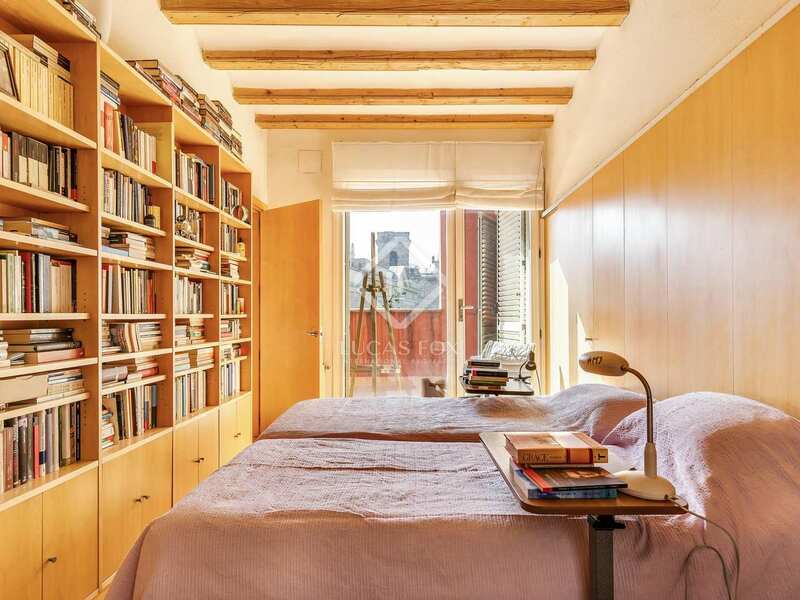 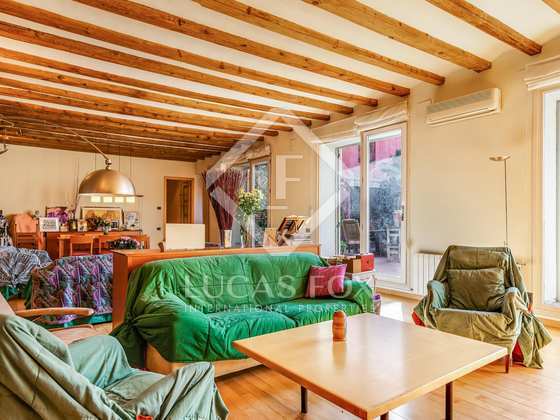 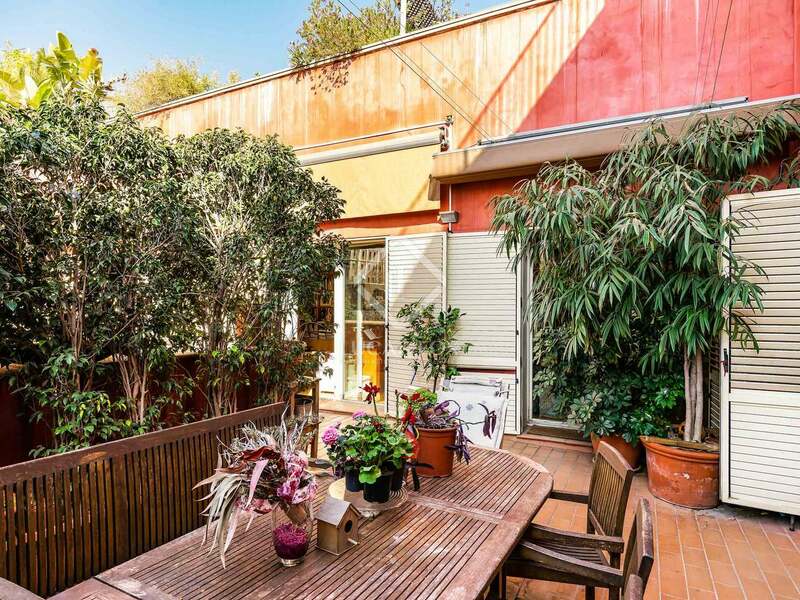 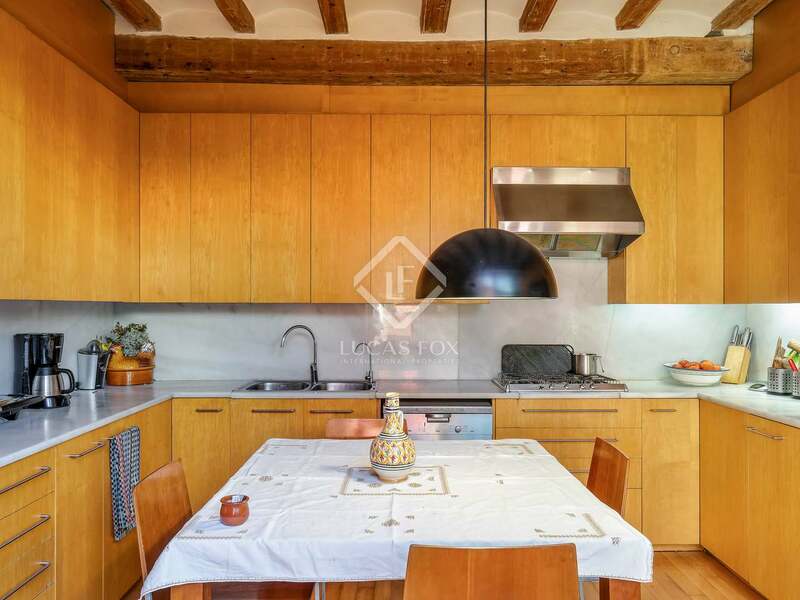 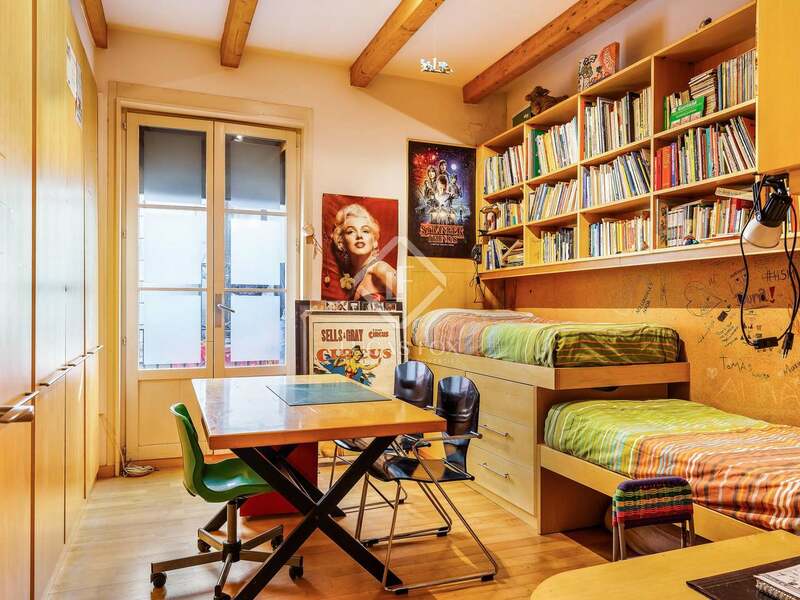 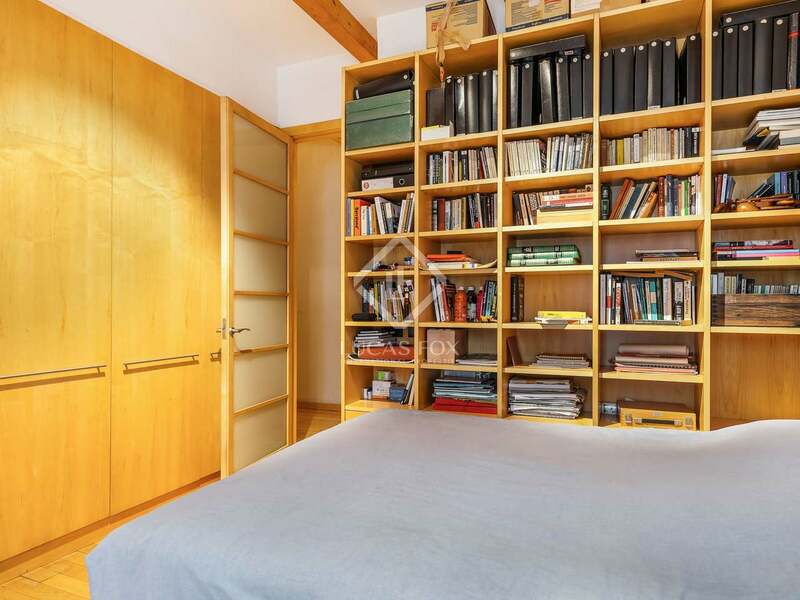 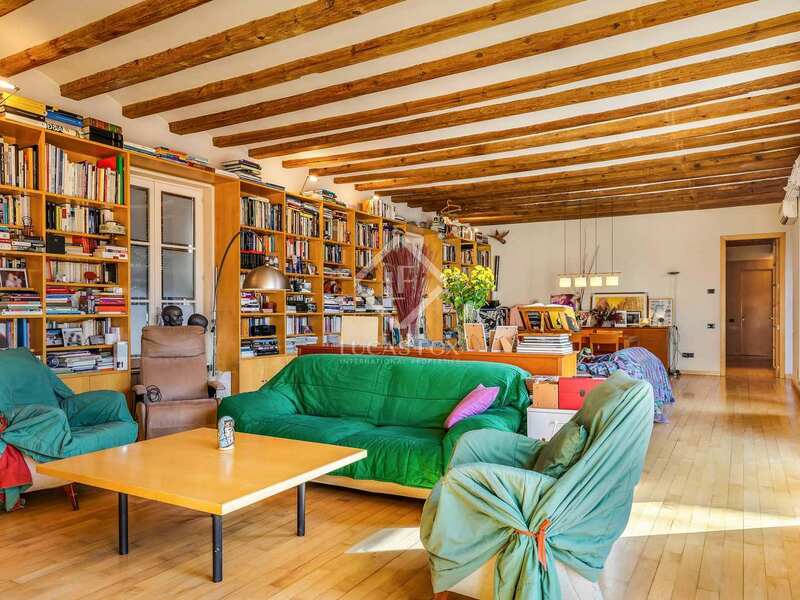 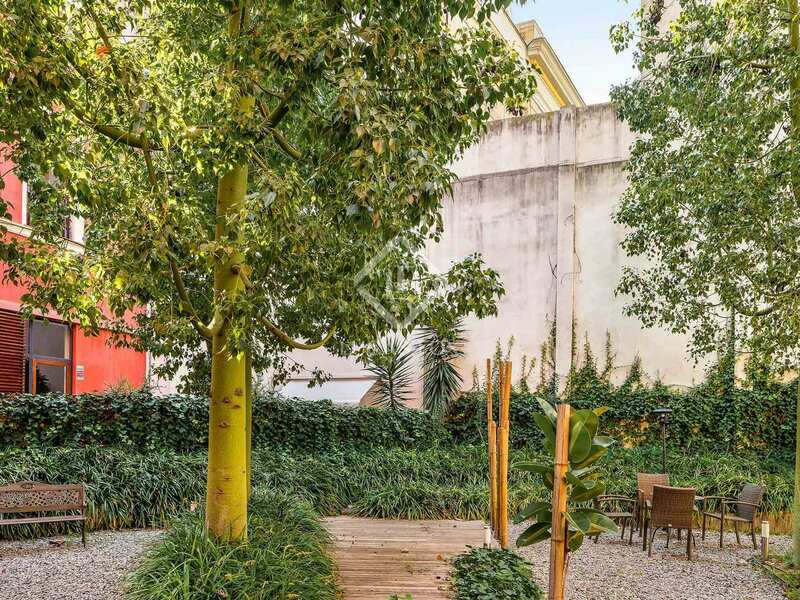 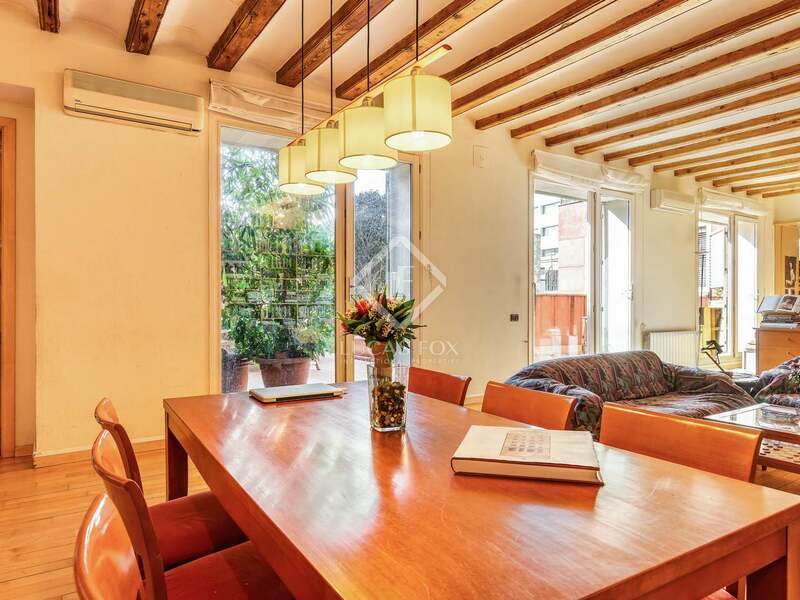 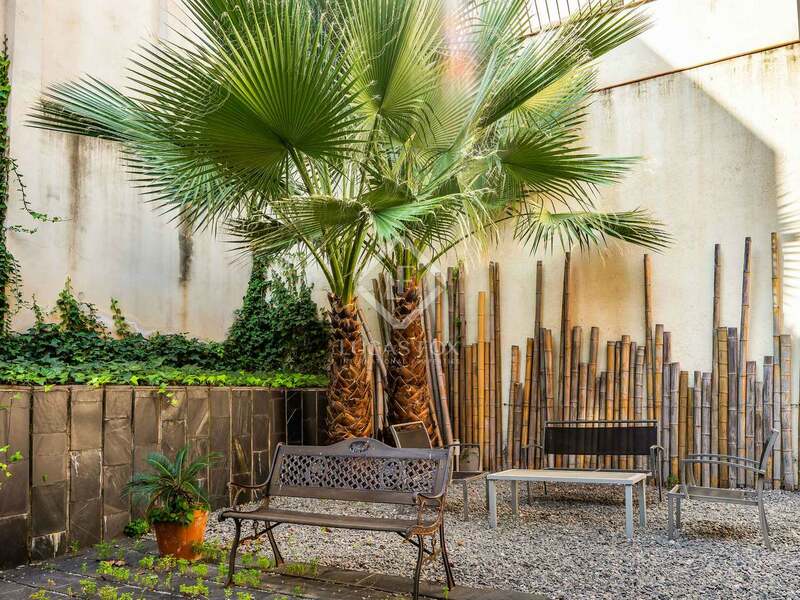 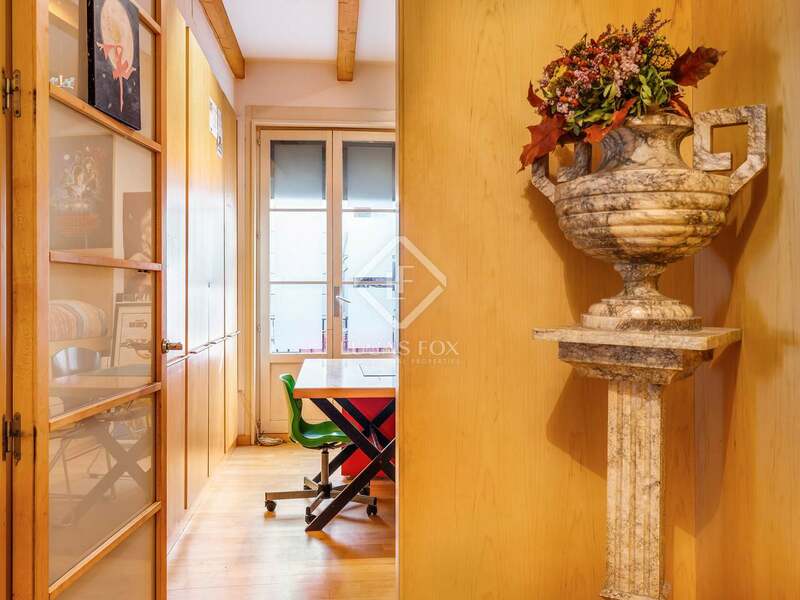 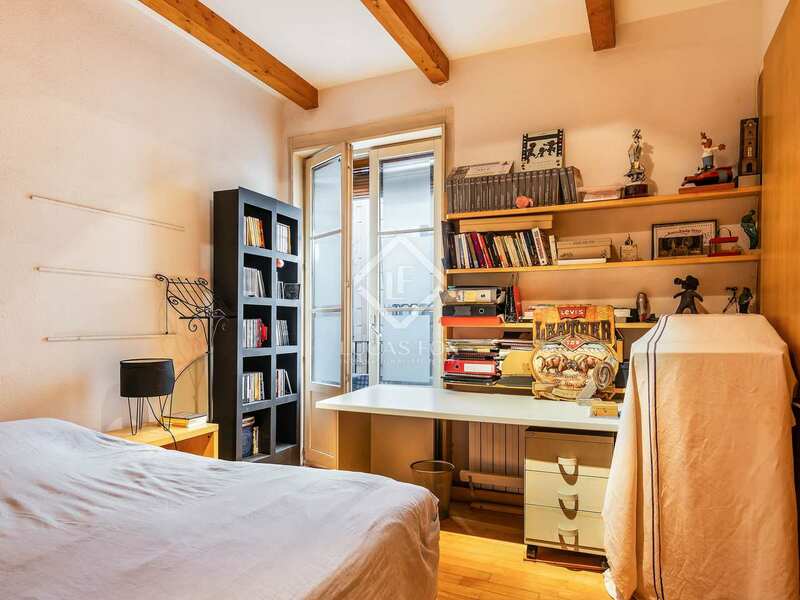 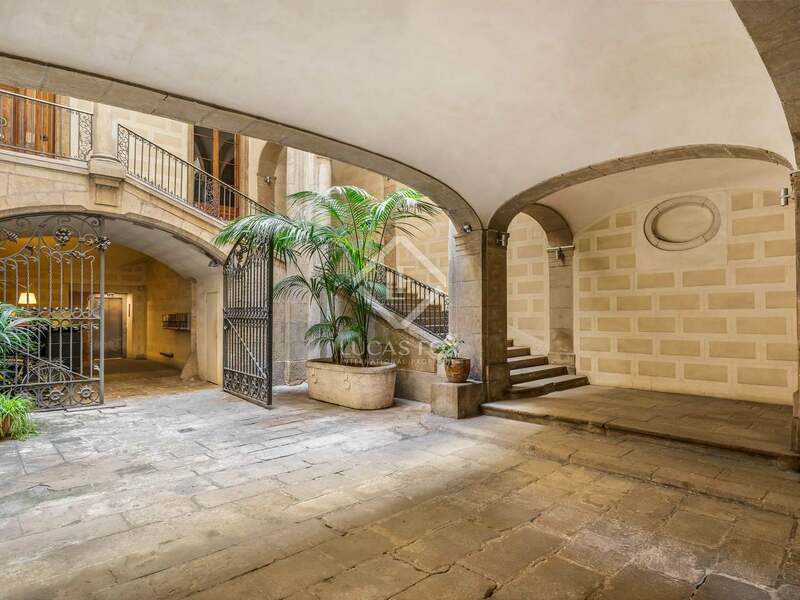 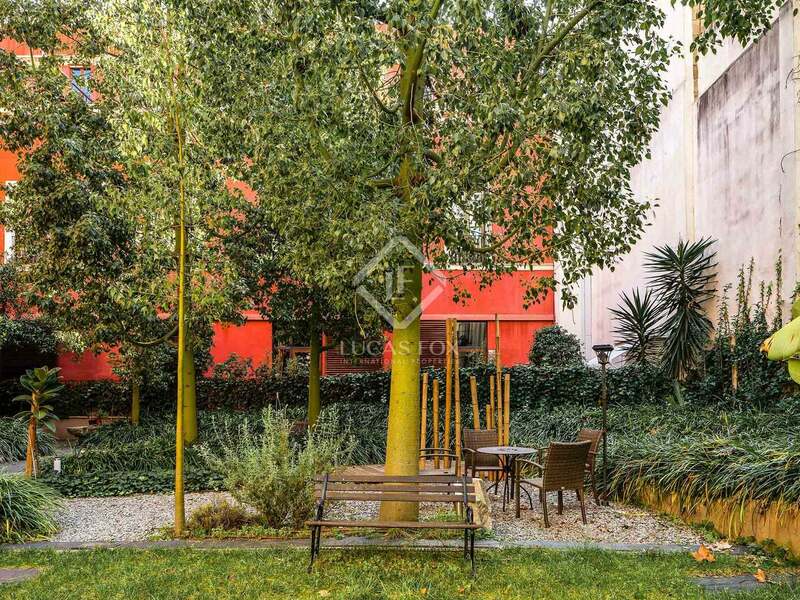 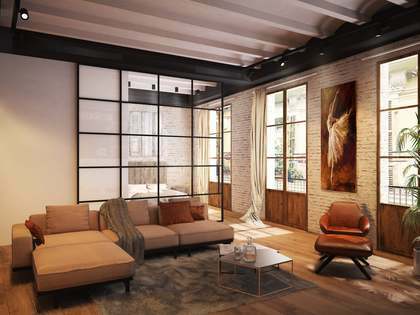 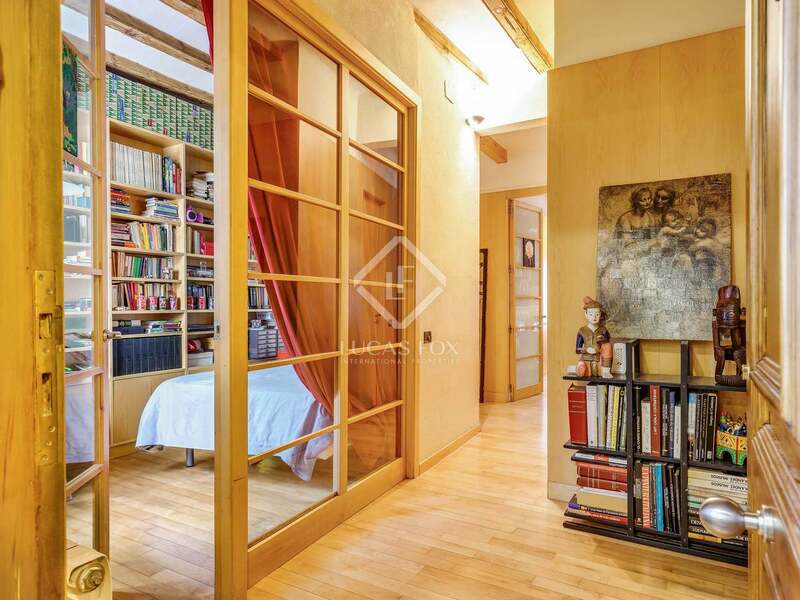 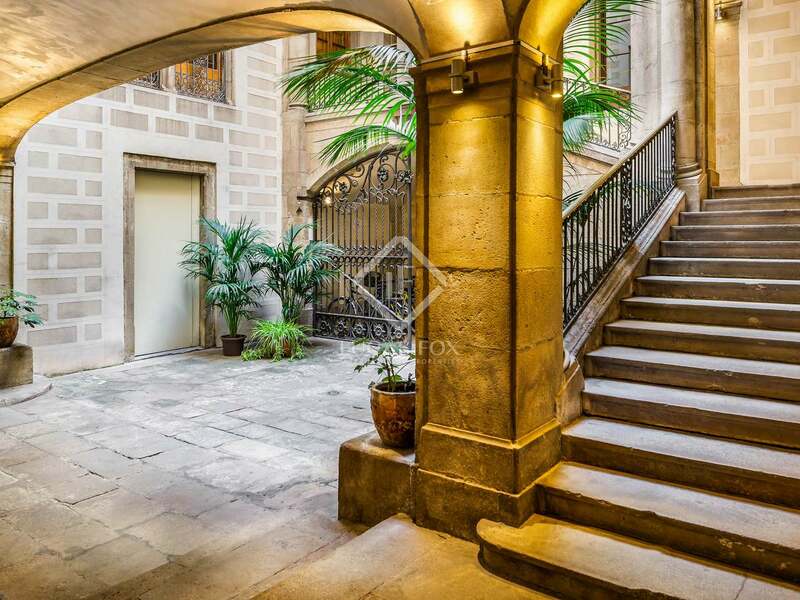 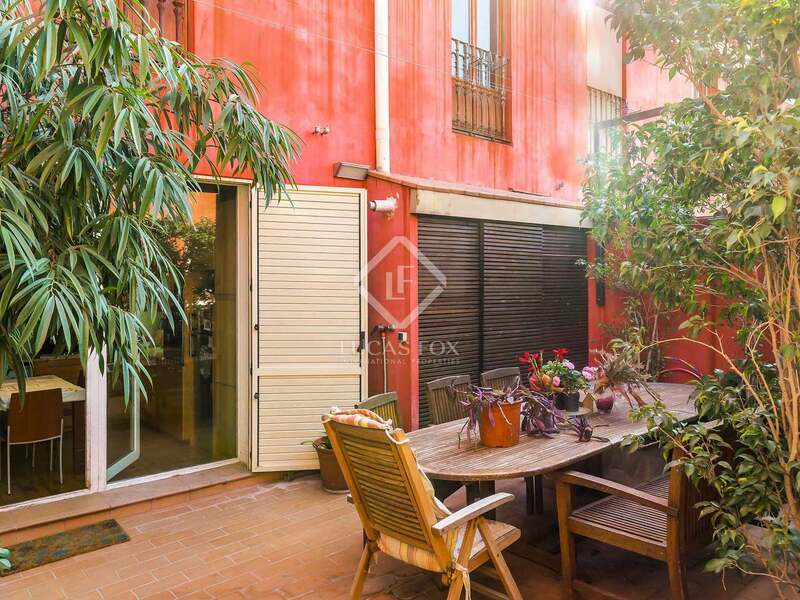 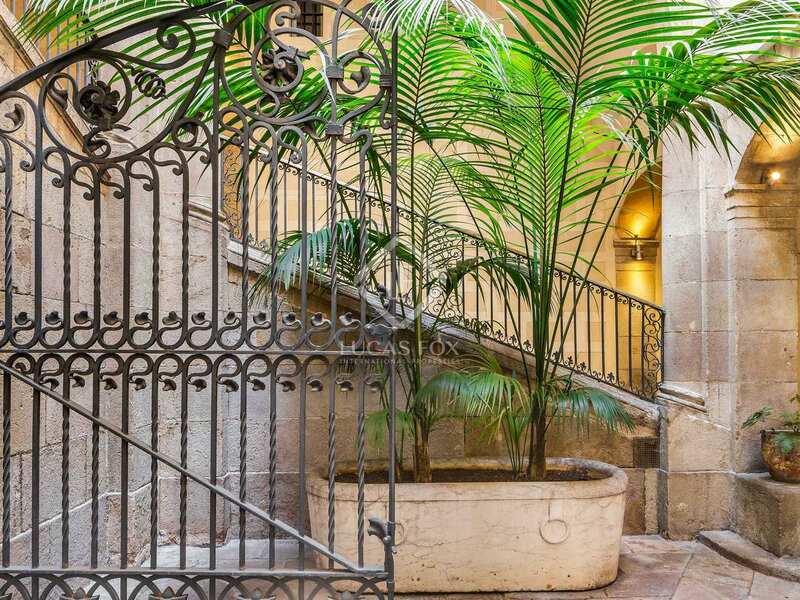 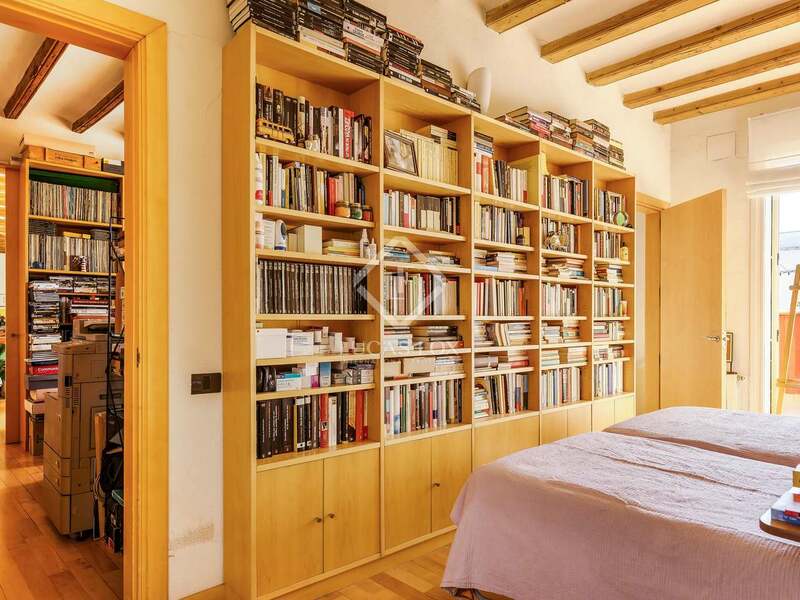 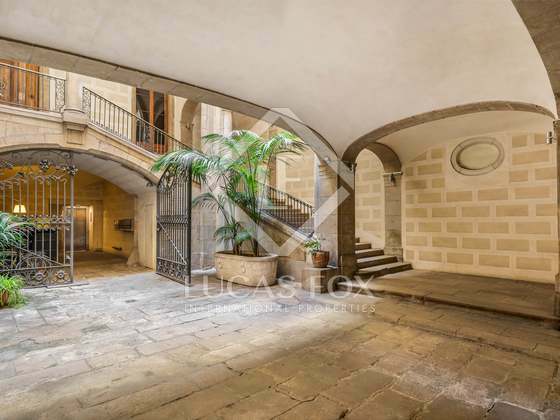 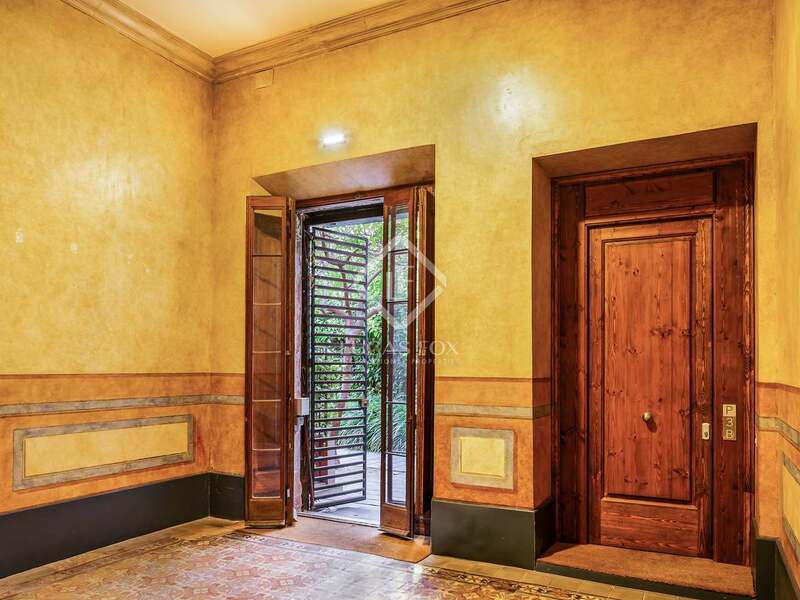 Property located in the heart of the Gothic quarter, in Barcelona's old town. 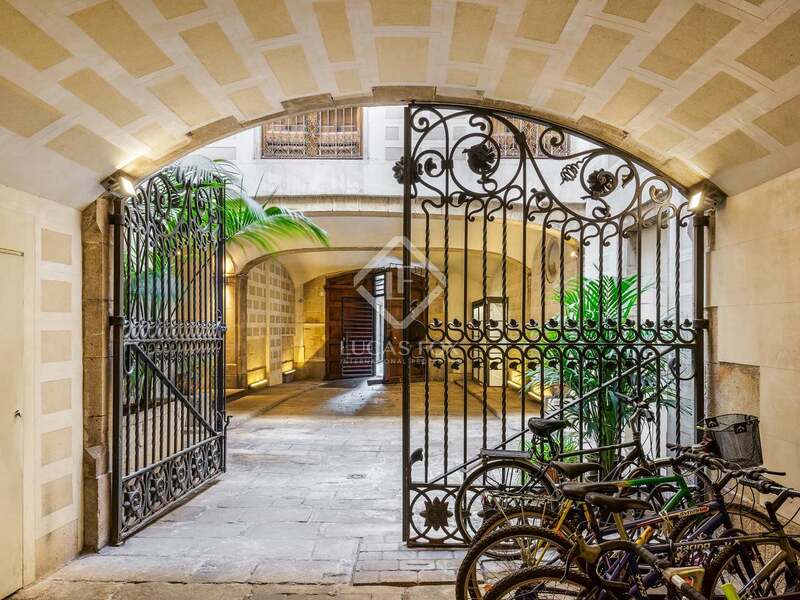 This area of the city, which breathes history and culture, is characterized by its charming streets, full of restaurants, cafes and boutique stores.. 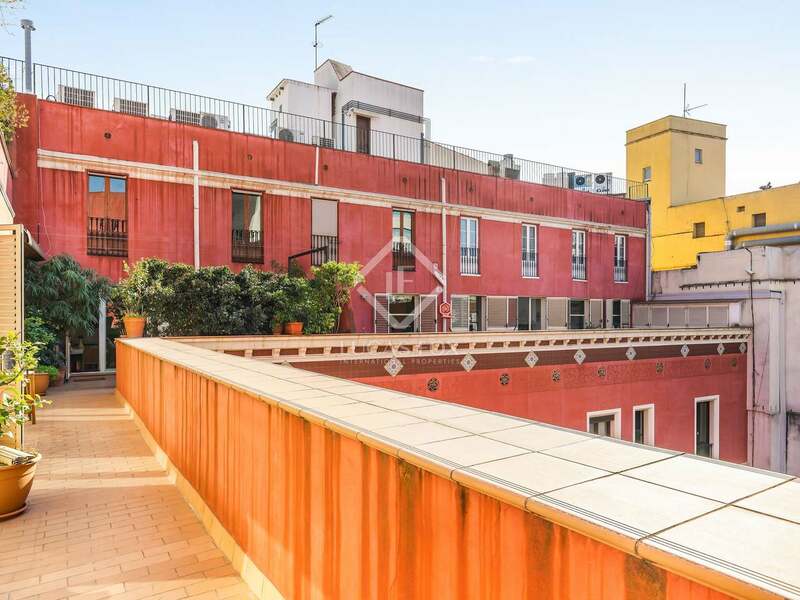 In addition, it is very well connected to the rest of the city by public transport and the beach is within walking distance.